Driving and alcohol is a hostile combination. In United States of America the rate of deaths and injuries caused due to drunk drivers is very high. Several preventive measures such as establishing DWI courts, suspending or revoking driver licenses, impounding or confiscating vehicle plates, impounding or immobilizing vehicles, enforcing open container bans, increasing penalties such as fines or jail for drunk driving, mandating alcohol education, safety seat belts, air bags etc have been introduced but sadly the numbers still remain high. Alcohol slows down body vital functions thus it is kind of a depressant and is absorbed into the blood stream where it stays for considerably long period of time. It is falsely believed that remedies such as coffee or a cold shower can eliminate effects of alcohol but actually only time eliminates alcohol from body. Reaction time- as alcohol is a depressant it slows down reflexes, thus drunk drivers react slowly when they are faced with an un expected situation (e.g. a car approaching from a side street, traffic lights changing color, people crossing the road). Vision and hearing- alcohol affects hearing and the visual judgment of the driver. Usually a drunk driver focuses mainly on the road ahead and so he is unable to comprehend the traffic situation on either side, for instance cars approaching from side streets or people crossing the road, or may not hear the warning bells of a crossing or car horn. Tracking-alcohol consumption affects ability to judge the car’s position on the road, location of other cars, center line and road signs etc. 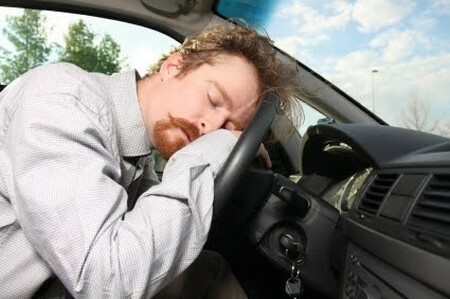 Concentration-with increase in blood alcohol level the attention to driving decreases and drowsiness may occur. Comprehension-drunk drivers are unable to make reasonable or sensible decisions due to the depressant affect of alcohol. Coordination-driving skills are affected as eye-hand-foot coordination is reduced by alcohol consumption. False sense of confidence-after alcohol consumption a drunk driver over estimates his abilities and takes unnecessary risks where actually he is less capable to drive. After drinking there may not be any obvious change in appearance or behavior but driving skills are obviously effected. For further insight and after checking on experts, as for example the Sundance Center whose reviews and ratings are very good , we have to understand the physiological changes in our body due to alcohol consumption. Our normal body function is such that nerves carry messages from brain to our body parts with the help of neurons to do different things. These neurons are placed with a gap between them called synapses and the neurotransmitters move with the message across this gap to the next neuron. Alcohol directly affects the function of these neurotransmitters thus reducing their efficiency and speed, as a result of it a drunken person is unable to drive properly, is unable to react quickly in emergency situations and his speech is also not clear.